This is a classic quality-of-life question. Can my kids get a good education, preferably near where we will live? Will I be stuck in traffic for an hour when commuting each morning and evening when I could be helping my kids with homework? Is Downtown safe? (That’s a resounding yes!) Is there a clean and attractive park for family bike rides on the weekend? And increasingly, does y’all really mean all? City Councils have little influence over the public school system. Nevertheless, we must insure all those who arrive, as well those already here, experience a high quality of life and a healthy environment. I have lived in my home in the West Raleigh neighborhood for over 35 years. Someone had the vision to build this extraordinary community; it has been a wonderful place to raise my family and be part of a community of caring and supportive people. I want every citizen to share the same quality of life that I have enjoyed for a very long time. Economic development and quality of life are not the same things, but they are intimately linked together – go together like a horse and carriage, you can’t have one without the other. If we continue to provide a good quality of life and a skilled workforce, economic development will continue to come our way. Our systems of transportation, housing, and resource use must evolve rapidly if we want to protect our natural environment. Moreover, we should find better ways to grow inward rather than outward. Raleigh needs an integrated robust economic incentive toolkit that top-tier cities like Austin use to generate economic development. As a city councilor, I will work to support and coordinate all of our development tools. We must help those who want to invest in our place with permitting and zoning. I encourage workforce development - people must be trained, and there must be support for companies to expand and relocate so they can employ these people. We currently do some of these things, and we do some of them well. The City Council adopted the Unified Development Ordinance a little more than three years ago. It was a great step forward, but time has revealed several deficiencies and unintended consequences. Some of the infill standards can be revisited, particularly as they relate to setbacks and height in redevelopment. A bit more flexibility in design of urban commercial buildings will allow builders to create grand street-level spaces without violating height or story standards. Greater flexibility is probably warranted in the historic core area of downtown, particularly with regards to promoting density (and with it height) while maintaining the historic character of the street-level experience. 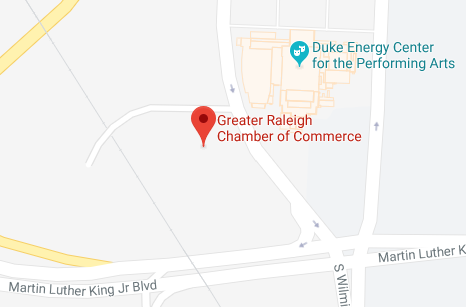 I was absolutely thrilled when, a few months ago, Moody’s Investor’s Services upgraded the City of Raleigh’s Water and Sewer Combined Enterprise Revenue Bond rating to Triple-A. The upgrade now gives the City Triple-A ratings from all three major credit rating firms, the highest credit ratings available. Only 13 water and sewer utilities in the nation held Triple-A ratings; the City of Raleigh now joins that elite group. This now allows us to get the absolute lowest interest rates for funding our long-term capital improvements. This accomplishment is a testament to how well managed and governed this City is, and I can’t thank the City manager and all of his staff for the hard work they do. This is one of the important ways we insure that we spend our tax dollars wisely. Some of our infrastructure needs are in enterprise funds that are self-funding in many ways. Transportation need will always be something that we will have to spend money on, but making sure we spend taxpayers’ dollars wisely and place values on the things that will continue to support a good quality of life for its residents. Increasing the supply of affordable housing and neighborhood revitalization are major objectives of the City’s Strategic Plan. In 2015, the City Council adopted an Affordable Housing Improvement Plan. This plan lays out seven options for addressing our housing needs in a more aggressive fashion. Affordability is a complex issue that requires a holistic approach. The Housing & Neighborhoods Department works with the Transportation Department to evaluate potential sites where we may be able to coordinate planning for transit infrastructure and affordable housing. Raleigh is a very dynamic, highly desirable city that has and will continue to balance a high quality of life with the need for providing the infrastructure necessary to accommodate the growth of our city. Reductions in cost of waste management: Raleigh is studying a program to increase recycling, thereby reducing solid waste disposal costs. While we are not requiring apartment complexes to provide recycling for their residents, we need to work with them to encourage recycling opportunities. We need to find economically viable opportunities for disposal alternatives, including opportunities involving regional cooperation. Textiles that can be recycled comprise seven percent of what we throw away in our landfills. This is not sustainable! I worked with a textile recycler to partner with the city to create a curbside textile collection. Soon you will have a bag in which you can put used textiles and set it out by the curb. Landfill space is incredibly expensive, and the more of it we can conserve for real trash, the longer the life of the landfill and the lower the cost to all of us. Best of all, there is no cost to you or the city for this new program. Reductions in cost of water management: Innovation cuts costs. As the city’s new Low Impact Development standards come into wider use, more stormwater will be captured and reused onsite, reducing the City’s costs associated with environmental and economic impacts of runoff. Greater use of recycled water will cut our future costs of water plant expansion. And there are innovations that turn waste into revenue, for example, generating valuable gas for energy from wastewater biosolids while reducing the amount of the biosolids that must be disposed of elsewhere. Increases in affordable housing: Earlier this year, the City Council set a goal to produce 5700 affordable housing units over ten years. The City has expanded its funding to 4% tax credits in order to produce more affordable rental units (a gap in the market). One new plan will produce 98 single-family units (60% affordable & 40% non-income restricted), 51 townhomes (60% affordable & 40% non-income restricted), and over 200 affordable rental units. These will be located close to downtown with its employment opportunities, amenities, and services. The City Council approved a livable wage this year for all city employees. And it’s no longer only the less fortunate among us who are priced out of the housing market. Increasingly, it is much of our skilled workforce – our teachers, our firefighters, and so many of our service workers. Much of the middle class is suffering under wage stagnation while the cost of housing rises far faster than the rate of inflation. I call this the “Missing Middle”. We need to keep these folks in Raleigh. The City must take a sharper look at this segment of our population; it is going to take creativity on the part of the city and leadership from both the public and private sectors to solve this problem. I want to be a leader in finding these solutions. ​Increases in transportation: This is both an economic and a quality of life issue. Technical improvements to vehicles have dramatically limited the pollution that comes out of each tailpipe, yet the Triangle Region continues to fail to meet ozone and other air quality standards. A fully integrated multi-modal transportation system makes travel by bus, train, bike, and foot common, safe, and convenient. If we want people to use transit, we must make it safe and easy to reach. Each stop needs a bus shelter in a safe location and. It must be people-friendly, for example, transitions between modes must be simple and convenient. Bus stops must have shelters so we are protected in all weather conditions, with sidewalks and pedestrian crossings that allow us to reach them safely. Buses and trains must be tech-friendly, frequent and on-time, and clean and attractive. And the City of Raleigh needs to dramatically increase the miles of sidewalk on the ground. To its credit, the City is investing heavily in transportation infrastructure, including road improvements, sidewalks, bus rapid transit, and Union Station. I would like to work with local business to promote ridership through incentive programs, for example, perhaps reduced fares if a minimum percentage of employees participate. And free bus passes for all the schoolkids! The truth, uncomfortable for many Raleigh voters, is that cities in North Carolina have very limited power. Local governments operate under authority granted by individual statutes established by the NC legislature and tempered by the courts. The Raleigh City Council is often called upon to take actions that are not permitted, for example, collect privilege license taxes, create impact fees to fund local schools, make involuntary annexations, set minimum wages, remove Civil War commemorations, establish a citizen-led police review board with subpoena and disciplinary powers, pass anti-discrimination ordinances, or determine who gets to pee where. ​Many voters see the City Council as falling short even when it is doing its best work. These good citizens are disappointed that the Council is not addressing issues that are important to them, not realizing that the Council has no power to regulate these matters.